Today we are very excited to announce the launch of the new MediaHub iOS App, which enables you to browse, search and save items on your iPhone, iPod Touch or iPad. If you want to download the app and have an iOS device then head over to the App Store here. The app is free to download! The Featured screen in the MediaHub iOS App. Who is the MediaHub App for? The app is for any user of MediaHub based at a subscribing university or collegeÂ and using an iOS device (an iPhone, iPod Touch or iPad/iPad Mini). In order to provide you with the appropriate search, preview and bookmarking functionality the app is limited to those from institutions that support UK Federation login. When you first download and set up the app you will be asked to login with your username and password. Once you have been logged in – which may take a few seconds – you are ready to goÂ and you will remainÂ logged for several months before you will be asked to reauthenticate. This helpsÂ ensure that our licensed content remainsÂ secure, without compromising the speed or ease of browsing through the app. We know that MediaHub users have or accessÂ a wide variety of mobile devices and we are currently building an Android App at the moment to ensure more of you have access to MediaHub whilst on the move. WeÂ expect the Android App to be available later this year. AsÂ the MediaHub App will be of most use when you are away from your laptop or desktop machine, rather than include the full range ofÂ functionality available on theÂ web service, the app has been designed to enable you to search or browseÂ for content on the go. Use it on your commute, when filling time between lectures or meetings, or when you get that great idea and want to quickly save an item to look at or include in your presentation later. Browse featured content – the highlights from our collection which also appear on the front page of MediaHub. Browse the most popular itemsÂ – this is always an interesting and entertaining way to explore our content, as readers of our Most Popular blog posts will already be aware. Search for MediaHub contentÂ –Â with the option to filter by format (video, image or audio),Â and toÂ searchÂ external collections. You can also choose how your search results are ordered, by relevance, title or distance from a location – either your own current location or a location you have selected on a map. Preview and view MediaHub items –Â including being able to watch videos in full (although we recommend that you do this via a wifi connection to minimiseÂ possibleÂ data charges). FavouriteÂ MediaHub itemsÂ for later use – Â when you favourite an item in the app, it will also be added to your favourites list when you next login to the MediaHub service website. And similarly anything you have previously favourited in the service, will be synced to the app. So, you can search, browse, and select items whilst on the move, then download and edit into presentations, lecture notes, student projects, etc. when you are next editing these on your laptop or desktop machine. Share MediaHub items – via email and phone messaging. How can I provide comments, questions or feedback on the app? We welcome all of your comments and feedback on the MediaHub app, and on any aspect of MediaHub. This will not only help us, but will also mean that your fellow MediaHub users hear your comments, constructive criticisms or top tips about the app. We would really appreciate your comments and ratings in the App Store as these can really help other new usersÂ to find the app,Â decide whether itÂ is the right choice for them, and get an idea of how it is being used by others. We will be keeping an eye out for comments and, like the App Store, any comment posted here will also benefit your fellow MediaHub users who may well have similarÂ questions. We can then reply publicly Â – and may update this post with new information as a result. To mark the launch of the MediaHub iOS App we will be holding several short webinars on the app, what you can do with it, and how you might use it in your teaching, learning or research. We welcome your comments during the webinars – or send in your question ahead of time and we will ensure it is included. Thursday 3rd September 2015, 10.30pm – email edina@ed.ac.uk to sign up for this webinar. We regularly run MediaHub webinars and you are always welcome to participate andÂ comment. If you would prefer to ask your question in a less public place, or have a very specific problem, question, etc. then you can contact the MediaHub team via the EDINA helpdesk:Â email: edina@ed.ac.uk or by phone:Â +44 (0)131 650 3302.
Who built the MediaHub App? The app was built by the MediaHub team, based at EDINA. Not only did they build the app, they also baked a MediaHub AppÂ cake to celebrate its launch! The MediaHub Team, from left to right: Catherine Fleming; Lorna Campbell; Mark Allan; Tim Stickland; Viv Mayo; Nicola Osborne; Niall Munro. When you download the app you will be agreeing to the terms and conditions for the MediaHub App. You can read these in full via the App Store, and you can also read and save a copy from the link below. At login we ask you to agree to terms and conditions for Grapevine, the MediaHub bookmarking and personalisation service. You can read these in full via the link below. As with the web service, all use of MediaHub content mustÂ comply with the MediaHubÂ Terms of Service. If you have any questions about how to use the MediaHub App, the MediaHub service in general, or how to use any image, video or audio item that you have found through the app or service, please get in touch with our colleagues on theÂ EDINA helpdesk, who will be happy to answer your questions. You can contact us via email: edina@ed.ac.uk or by phone:Â +44 (0)131 650 3302. What does the MediaHub iOS App Look Like? The screenshot at the beginning of this post, and the images below, give an ideas of how the app looks on anÂ iPhone. The best way to find out how the app looks and works is by using it! So, please do download theÂ MediaHub iOS App, try it out, and let us know what you think! This afternoonÂ I am attending, and supporting my colleague Tom, at the GeoLocation in Learning and Teaching event at the University of Edinburgh. This is an internal event arranged by the Social and Cloud based Learning and Teaching Service (http://edin.ac/1cHRslP). The event will beÂ focusing on Geolocation technology used in learning and teaching at the University of Edinburgh. We are kicking off with a brief introduction from Susie Greig to the dayÂ noting that “there does seem to be some interest in using GeoLocation in learning and teaching” – something definitely backed up by a very full room for this afternoon’s session! Dr Hamish MacLeod, Senior Lecturer, Moray House School of Educationâ€“ will be discussing the INGRESS game, he will describe the many rich features, and why he thinks they are (potentially) relevant to learning. I think there are two real approaches to learning in gaming… One you might attribute to Marc Prensky – a kind of con folk into learning approach. I have much more sympathy for John Paul Gee’s take on gaming and learning. A HM: We are thinking about the Games Based Learning game… We use World of Warcraft there… But we look at designs of games for learning so it is interesting in that contact. But our degree is online and interestingly INGRESS really relates to shared geographical space – WoW is better in a lot of ways.. But you could work on the pattern making aspects. Tom Armitage, Geoservices Support, EDINA – Â will present on the mobile mapping and data collection app Fieldtrip GB. I’m talking about FieldTrip GB, butÂ firstly I just wanted to tell you a bit about what we do. We are a Jisc Supported National Datacentre providing services, data, support, etc. Our work covers geospatial services, reference, multimedia, access areas and tools including FieldTrip GB. Digimap is our main geospatial service, we run GoGeo that allows you to search for geospatial data and create and share your own metadata records via GeoDoc – ideal for sharing geospatial research data. We have Unlock which lets you create geospatial search tools, or to georeference your own text. 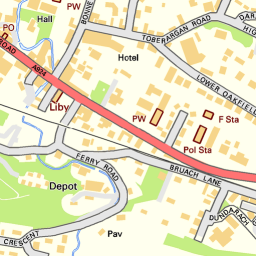 We also have OpenStream which allows you to stream open data from Ordnance Survey into websites/GIS. Finally FieldTrip GB which lets you gather data in the field. The advantage ofÂ offline mapping is that it saves on cost in urban areas, and allows access in rural areas where there may not be internet access of any type. And everything cached loads faster too! I’ll be showing you a site I have built (see: http://aelang.net/projects/) using SIMILE Exhibit, using Google Maps. This is a map of Paris with information related to literature in Paris. Paris was a particularly important place for anglophone modernism – lots of Americans moves there – Stein, Joyce, Fitzgerald, and that decade was so important to modernism. The histories of this time are concerned with a linear narrative. 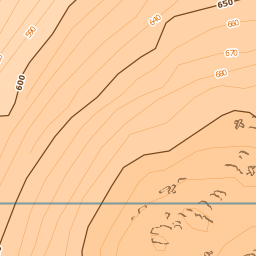 When we see a map it is very seductive… But that is a representation, not accurate. But I was particularly keen to map those places that matter… It can be hard to understand the role of spatiality of the places in this movement (or indeed in general). So, in this tool you can explore by person… So you can for instance view Sylvia Beech’s life, a book seller central to modernism in that time. Clicking on a place gives you more information about that place, it’s relevance. I originally built this for teaching. The 1920s wasn’t recognised as important until much later on 1950s/60s/70s. By then it is clear, in the biographies, who the big important players are. And those who never quite published that master work etc, insert themselves into that history. For instance we have Canadian writers (e.g. MorleyÂ Hallaghan, the only person to knock out Ernest Hemingway) who have interesting interactions with the big players. John Glassco’s Memoirs of Montparnasse, documents his bisexual adventures with both male and female writers of this tine… He locates himself close to key locations… But he has a rival, Morley Hallaghn… So he mentions meeting him but never assigns the location/space there… It sheds a whole new life in their relationships that would have been invisible if I’d looked at those works in any other way… mapping their locations was so useful. Now I built this for research, but it does double duty for teaching. It is a framework for research, but I got students to think about sociality of modernism in Paris. I asked them to find one piece of information relevant to modernism, arts, culture in Paris, and to find the Geolocation associated with that person – the details are often vague in biographies and texts. That task took them a long time… Then the students were given access to the spreadsheet… So you can then see those entries, and visualise them on that map… And we were able to see patterning of which writers stayed where. So you can explore the locations of women versus those of men. So Paris in the 20s had a group of unusually strong women, publishing each others work… so where did they hang out? That concept is in play… That cotidillon sense of our everyday place actually shaped literary history. Place is such an interesting lens through which to consider this work. We may only have sparse information of where these people live and stay – and we may have location only for months or a few years… raises useful questions, lets us ask critical things… Mapping this stuff perhaps helps you see biases, particularly around the prominence of particular places versus others. So, students begin to understand the research process… you have contingent data that you need to make an arguement out of. So, we build this stuff… We need to embed it so students have to learn a snippit of HTML. Students also learn the importance of precision. If students use “1920′s” rather than “1920s” will hide their work in the faceted search. It seems like a tiny thing but in this subject changes in punctuation can be so important – whether in student work or in those writing on Emily Dickenson’s work. I should say that you can’t do spatial analysis in this. But the SIMILE Exhibit tools do let you view a timeline (and click for more data). But the map is Â a point map, I would pull the data out and put it into Arc GIS to do serious spatial analysis on this data… So looking for the shapes, comparing literary to tourist areas for instance. So, if you want to play, I have a sand box. Find it at: http://aelang.net/projects/canada.htm, just email Anouk for access. If you do edit, do include an identifier to ensure you can identify your own entries – and view just those points on the map. A Anouk: Will I make it an app? No. Firstly Google Maps Engine is going, so need to move to OSM. But also not what I need for my students! The GoGeo Mobile iPhone App was created b y EDINA at the University of Edinburgh to support teaching, learning and research. JiscÂ provided support for the GoGeo App project as part of its commitment to encourage the use of new and emerging technology to support research and learning in the UK. GoGeo Mobile is an appÂ that allows users to keep abreast of news and events in the geospatial sector. GoGeo Mobile is separated into a number of channels including News, Events, Jobs and Resources for Teachers. Each channel contains useful and relevant resources for anyone working with Geographic Information Systems (GIS), Remote Sensing or spatial data. In addition, GoGeo Mobile allows users to perform targeted searches for spatial data. Searches can be defined by keyword and/or location and return a brief description of the data and users can then forward themselves a direct URL to the metadata record so they can download the data when they are back at their desk. 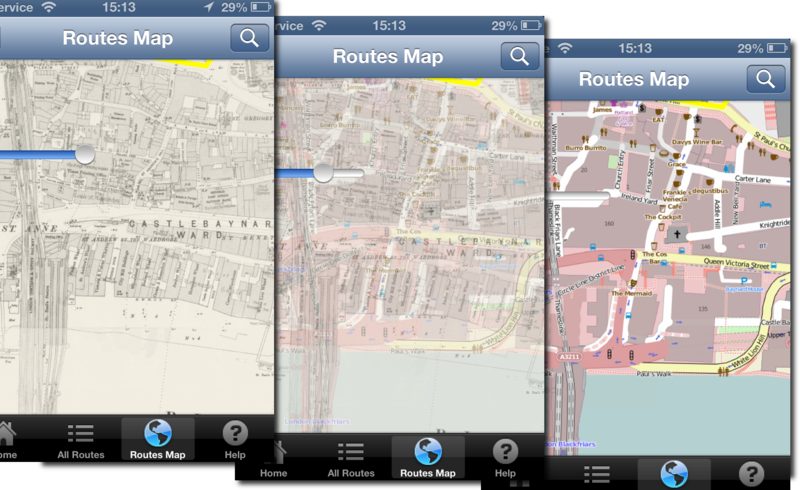 You can download the GoGeo Mobile App from the UK iTunes App Store. Please provide Feedback toÂ edina@ed.ac.ukÂ with GoGeo App in the subject field. Early this month, EDINA Geodata Services held an exhibit at the GeoDATA Showcase 2014 event in London. This was our second time to exhibit at this event which is aimed primarily at the commercial end of the GI industry covering current data and technology topics. This follows on from other events in the series as described previously on the GoGeo Blog. We had a small stand, but the positive responses we got from visitors was very encouraging: from students who are currently using Digimap in their studies, to the lecturer in a university who said that Digimap was a great resource and essential to his teaching. Even more encouraging was the number of delegates and staff on other stands, with successful careers in the GI industry, who came up and said that they had used Digimap during their studies and it was a vital to their degree. Itâ€™s good to know that the future generations in the GI industry have the expectation that they will have easy access to high quality geospatial data, readily available from Digimap (at least while they are in education!). We talked to delegates from a wide range of industries including environmental consultancies, government, data providers, local councils, defence and education as well as visiting and talking to many of the other exhibitors. We got a lot of useful feedback on what weâ€™re doing and ideas for what we could be doing in the future including potential opportunities for collaboration. Of particular interest to delegates was the Fieldtrip GB app we were demonstrating which is a mobile data collection platform â€“ especially once the magic word â€˜freeâ€™ was mentioned, and also that there is an Open version available on Github. Mince pies and mulled wine near the end were a welcome break from a long day, so busy that we didnâ€™t actually get a chance to attend any of the talks, many of which looked very interesting, however it was a very useful event to attend. We look forward to next yearâ€™s event on the 3rd December 2015. Creating a transparent overlay map with mapbox-ios-sdk. Unfortunately it doesnâ€™t have an have an API to dynamically change the opacity of a tile source out the box. So I added it. And example of use – the code is in github. Do a â€˜git clone –recursiveâ€™ to install the submodules. And example of use. In the Â main view controller.